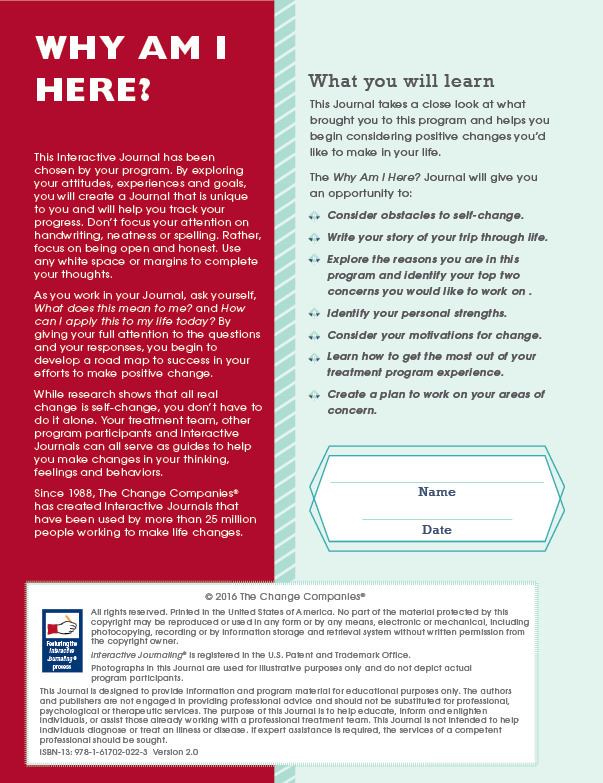 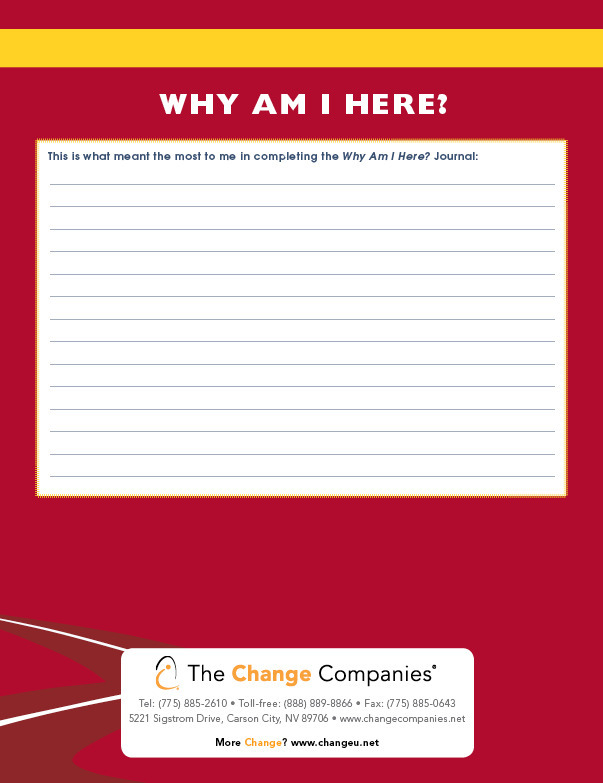 The Change Companies® | Why Am I Here? 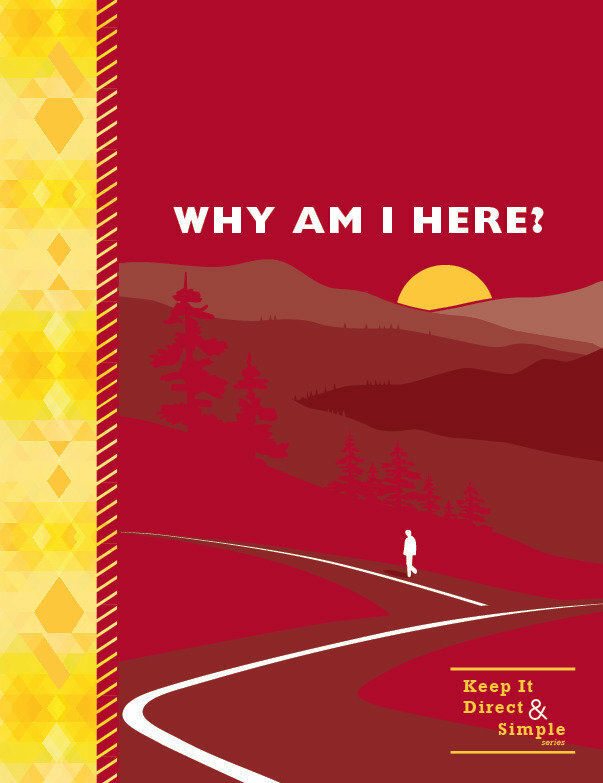 Why Am I Here? 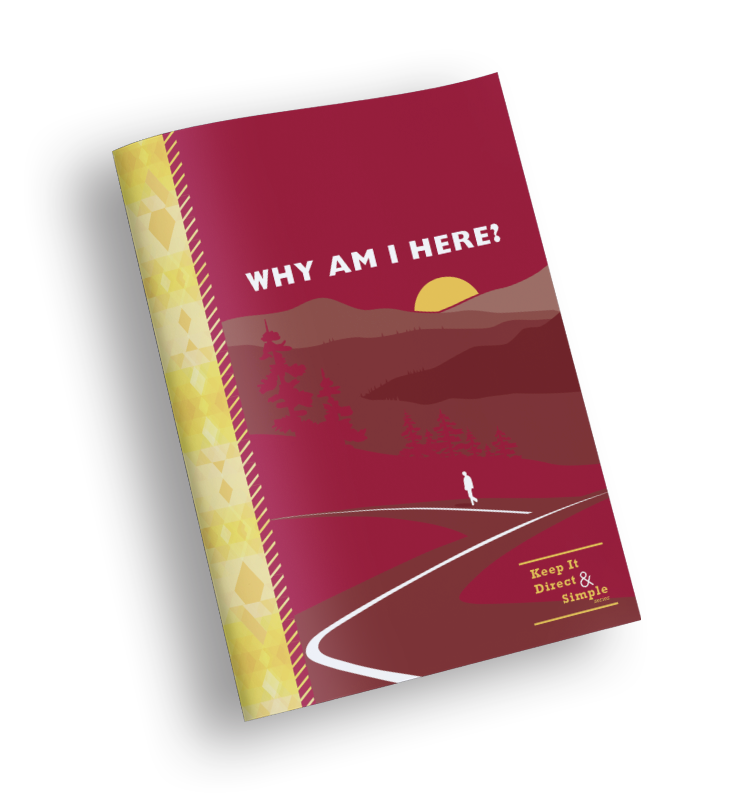 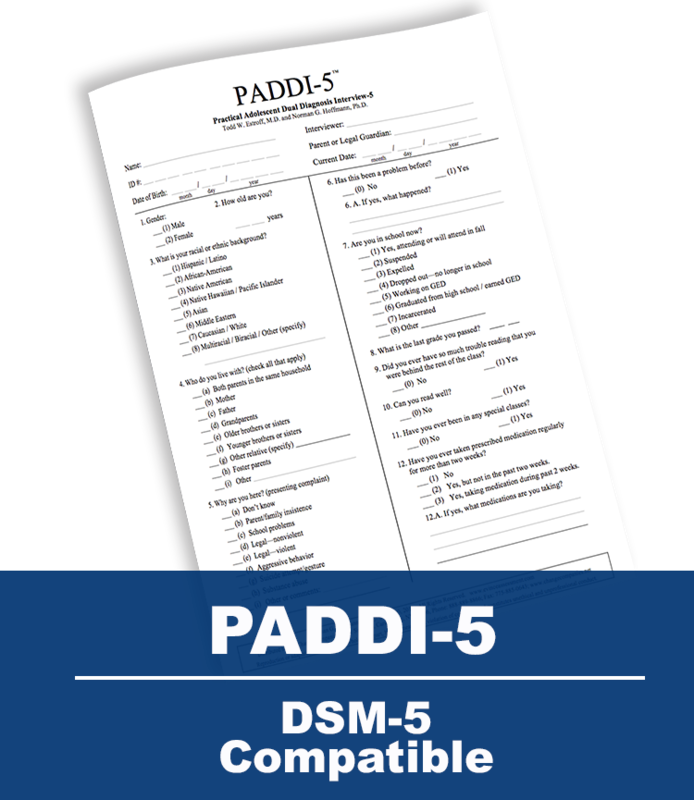 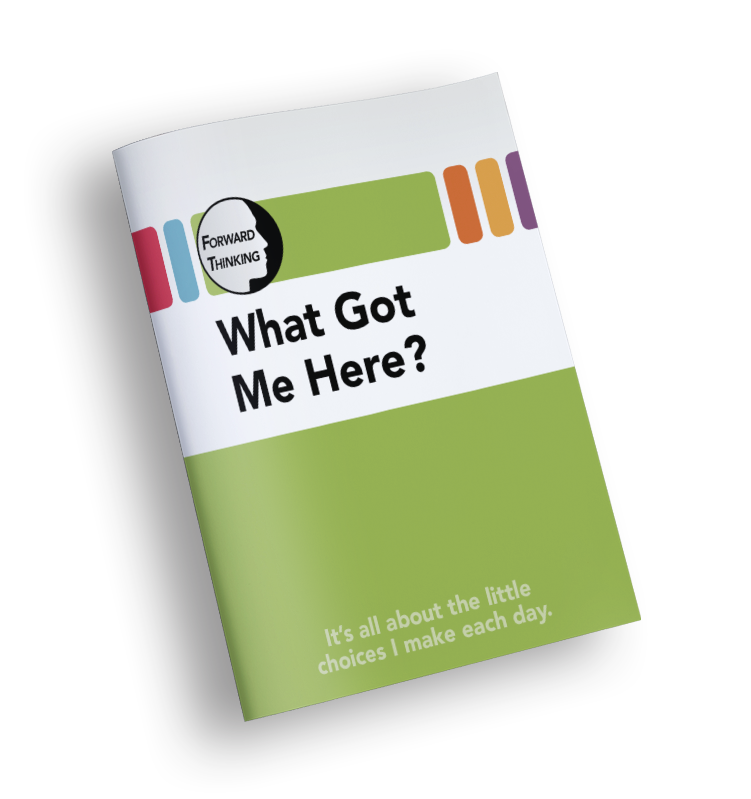 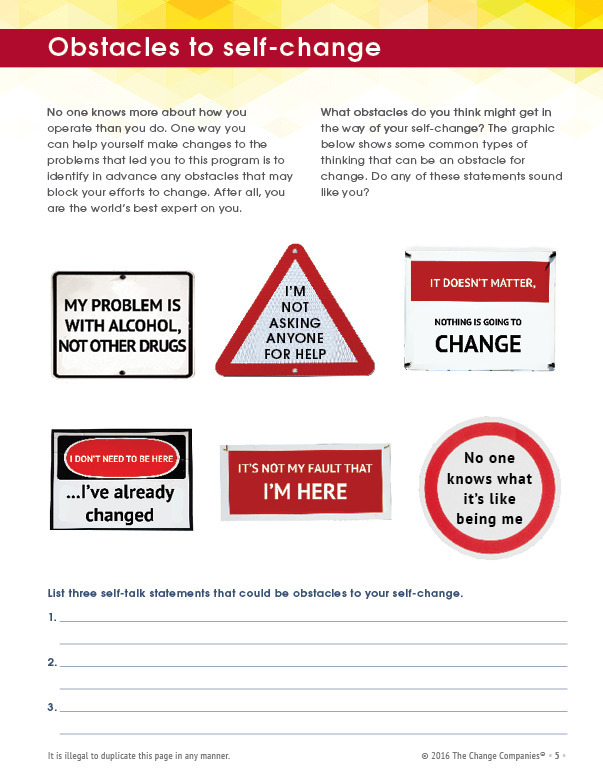 helps participants explore the reasons for being in treatment. 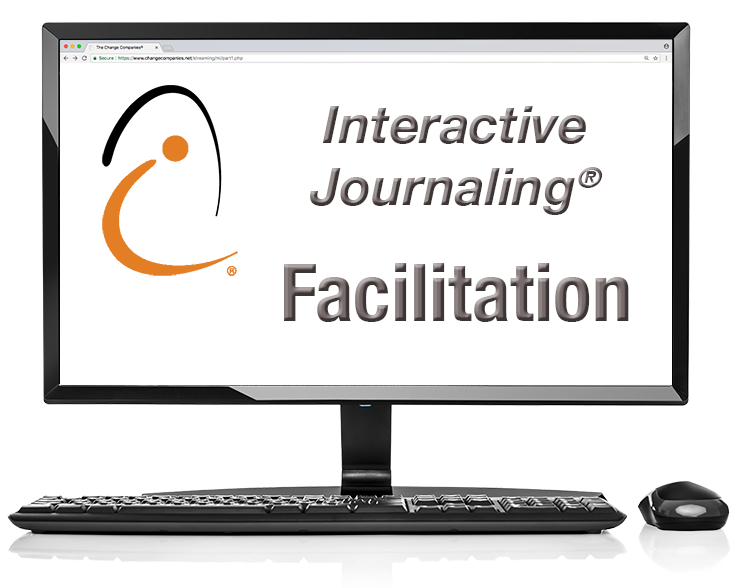 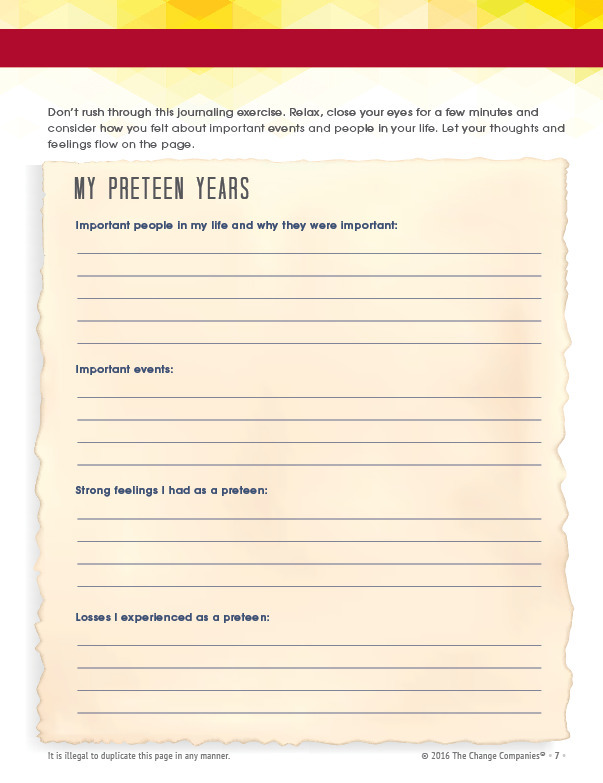 The Journal invites them to write the story of their trip through life to identify where they are and where they’d like to go. 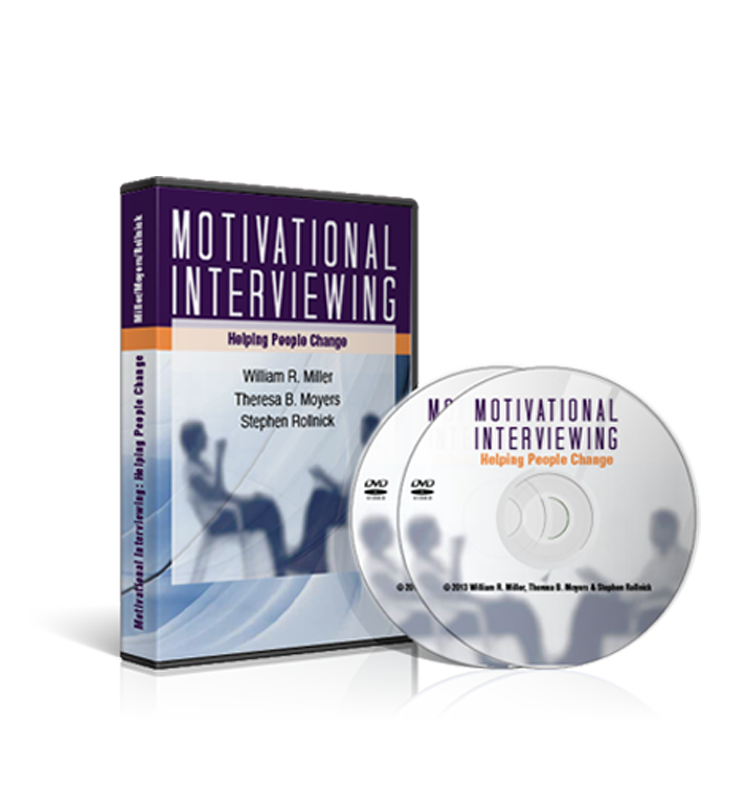 Participants consider their personal strengths and their motivation to make changes to their behavior. 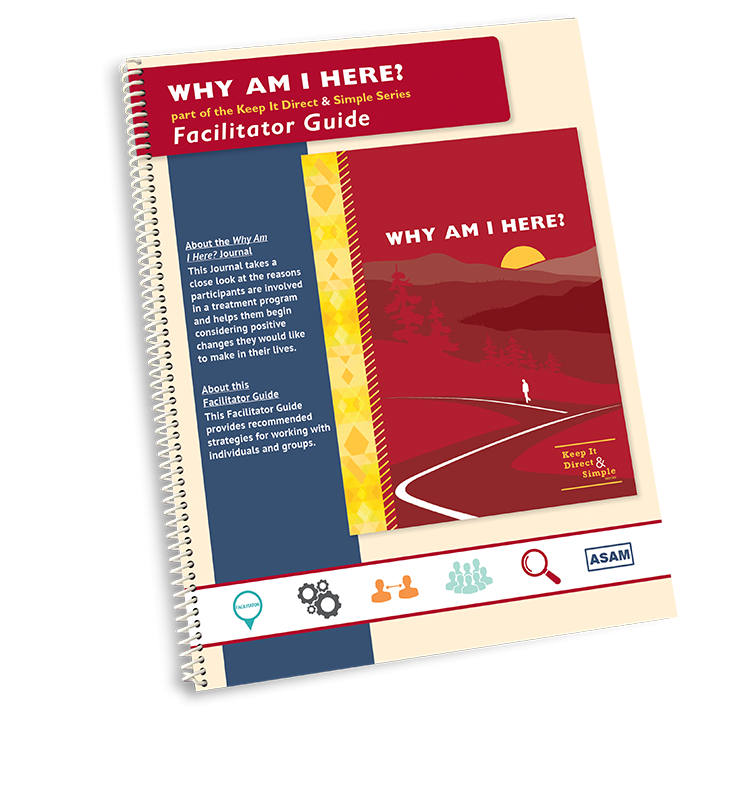 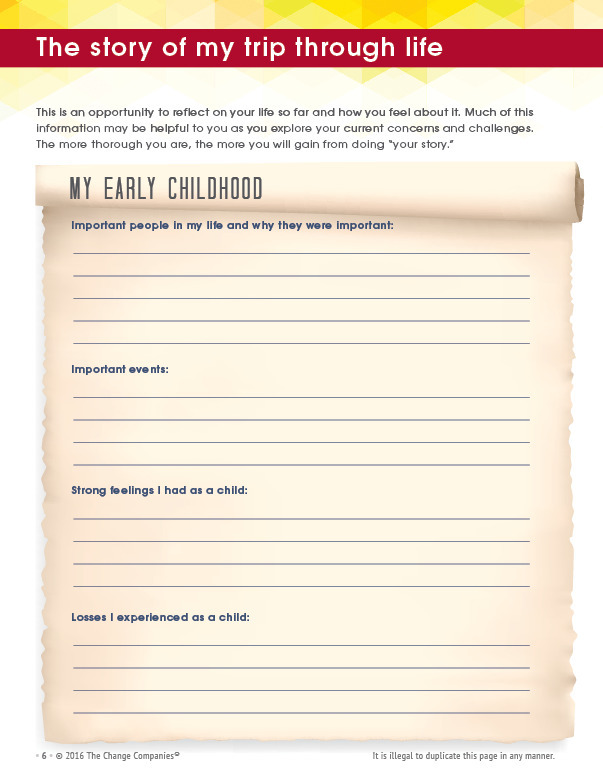 This helps them begin to consider positive changes they would like to make in their lives and to develop a plan to engage with and get the most out of the program.